An Affordable Real Estate IDX Service! We have the experience and the knowledge to build you a web site that is not a "template" site. Most realitors start building a site that based on a template with a small changes. Therefore, their site looks almost as the competitors site. Be different and unique. Have a site that is district. We can make this happen for you and your office. OK. You have a site. What good does it do to you if people can not find your site when potential buyers or sellers try to find a realor in your area? Most web designers and templates try to make their site look good on the eye. Our policy is to please the two most important visitors to the site: Humans and Search Engines. Example work of our Search Engine Optimized on a clients site. We have developed the method that provides Full Branding and Layout as Per Customer Requirements IDX/MLS Data Feed. Most other providers have developed a template and all the sites that develop have the search function and ability. We have devoloped a number of sample templates for you to choose. However, if you decisire a different design, we will work with you to develop it and make it available just for you. 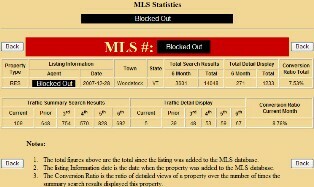 Example of how the Custom MLS Database can be used. We have worked with Upper Valley Video Library to allow us to make thier videos available to our clients (for a small fee) to give our clients the advantange over other Real Estate Borkers/Agents. 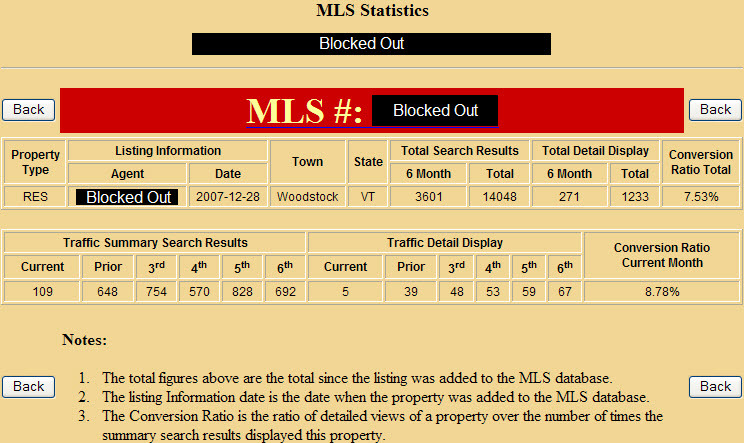 By taking advantage of the Custom MLS Database and the Upper Valley Video Library you have the advantage to help potential buyers and sellers. If you are out the Upper Valley Area (NH and VT) we will work with you to create videos for your area. 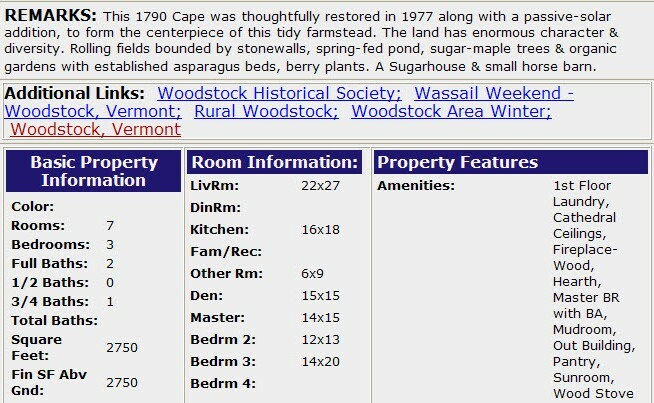 Our system keeps track of every time a property is viewed either after a search or the detail information. This provides valueable information for you to provide to your clients related to their property. 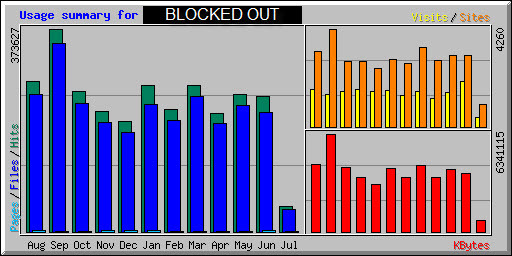 Example of Property Traffic Statistics/Viewing. How do you win a listings of a high priced property? Most of those owners want to be made feel that thier property will be your priority for you to try to promote his/her property. Build a web site just for his/her property can help promote the property and give you the advantage to get the listings from the potential seller. 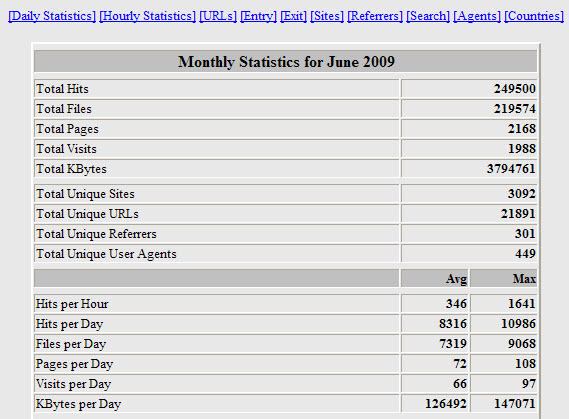 Are you a person that is runnig a web site that have no idea how many visitors come to the site? We are here to help indentify the level of traffic on your site. We have a number of tools and methods to help. With out this measure, you can see what needs to be improved. Remember when you were a very young child and your parent tried to teach you how to walk before you run. This is similar. You need know where you are before you need to move to the next step on Internet Marketing of your web site. Below you see some sample reports of a site. 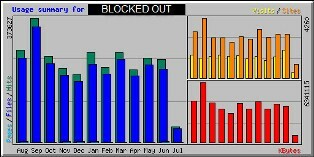 Example of Website Traffic Statistics By Month. 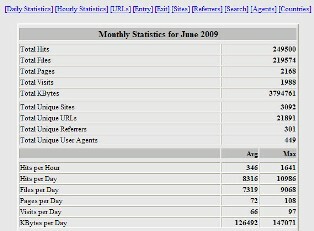 Example of Partial Report Website Traffic Statistics For A Month. They increase your web site traffic, from people who click on the links. Reciprocal links also play a major role in boosting your rankings in search engines. Non Reciprocal Links - are one-way links from other sites to your site. So non-reciprocal links are beneficial to your search engine positioning campaign ... but how do you do it? We have a service available that can provice Non Reciprocal Links from other related sites to your site bases on key words/phrases. Contact Us for more information or visit our Website Link Tactics site. Does you office handle both property listings for sell and rent? 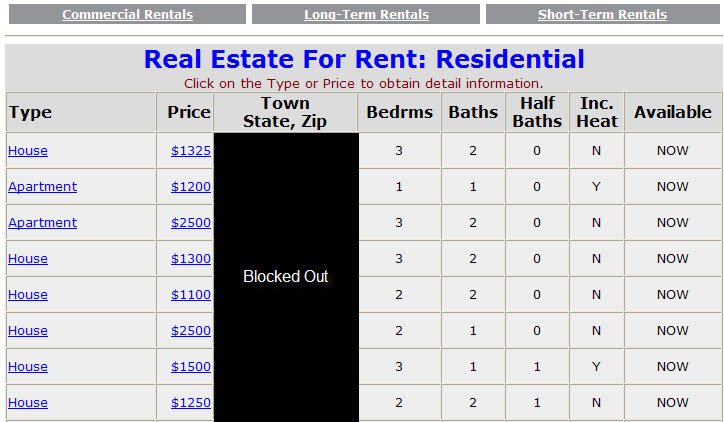 Don't rely only on listing your rental properties on NNEREN's database. 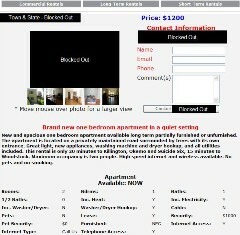 We have a custom database special for rental properties. 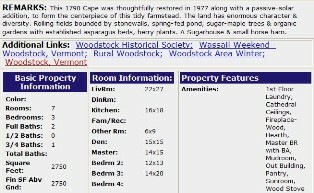 You list your properties on one site. 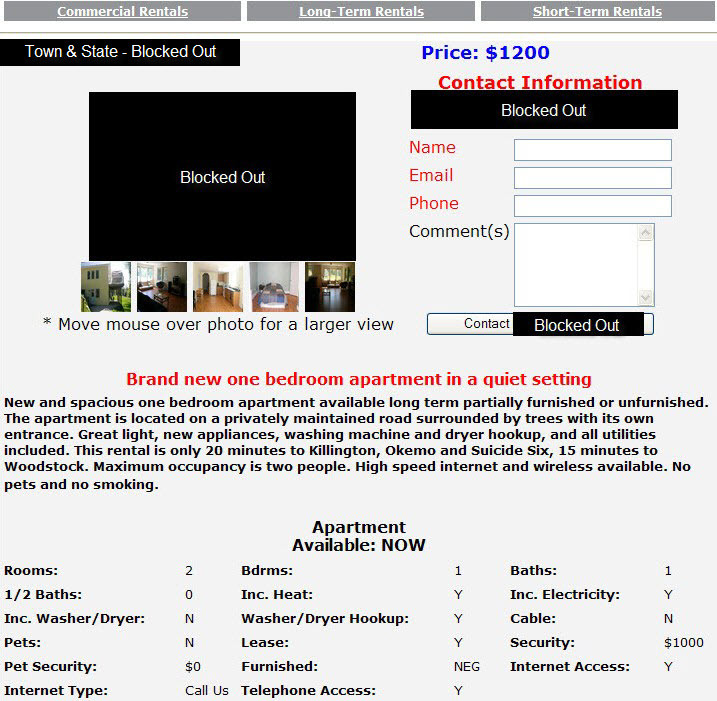 Automatically, your properties appear on your site and in addition on a number of other sites. This will help you find more quilified renters for the properties you have available. 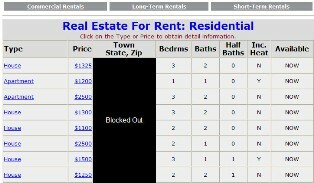 Below you see samples related to rental properties. � Copyright 2006-15, NHVT Computer Services, LLC, All Rights Reserved. Designed by NHVT Computer Services, LLC. and Hosted by GlobeInt.com, Inc.